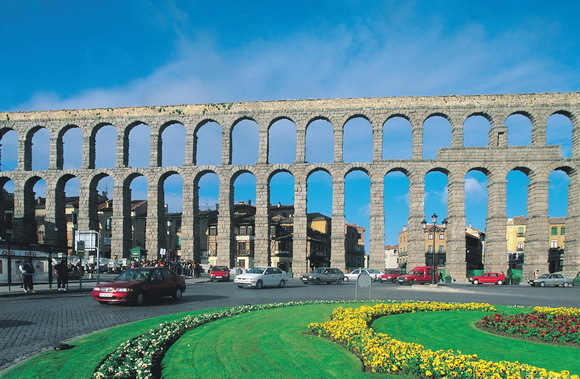 Aqueducts were built to bring a constant flow of water from distant sources into cities and towns, supplying public baths, fountains and private households. Many aqueducts over land connect points of similar height in a landscape, usually by bridging a river valley or other eroded opening in an otherwise flat area. This list describes the old aqueducts that were built in the period since the 1st century (Roman times) till the 19th century.